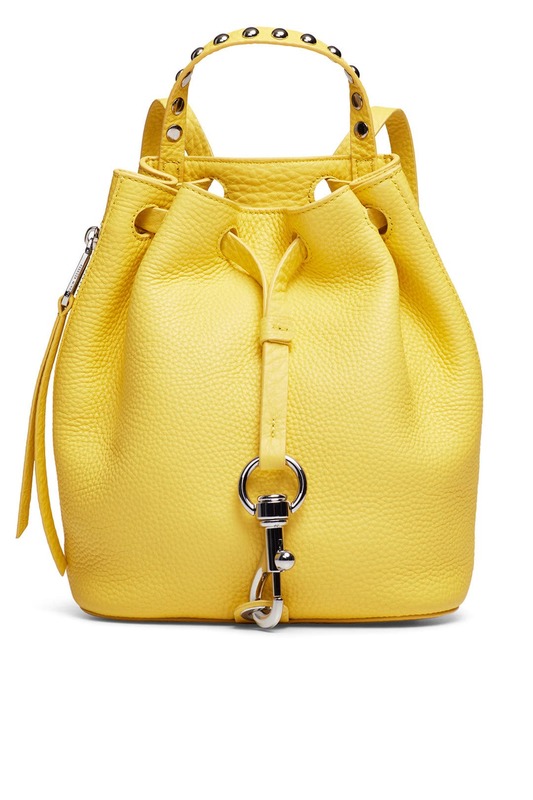 Signature clip-lock hardware and sleek dome studs refine this Rebecca Minkoff backpack crafted from luxe pebbled leather. 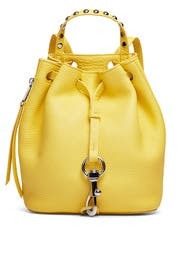 Yellow pebbled leather backpack with studded trim. 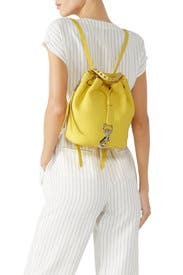 Drawstring top and zip side pockets. 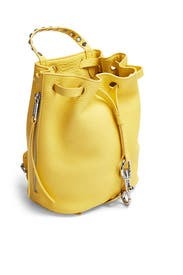 Top handle and adjustable shoulder straps. 12.25"H x 11"L x 6"D.